​Martz Group is a fifth generation, family owned and run company that began in 1908 as the White Transit company and was made up of just one flatbed truck with four rows of bench seats, driven by founder Frank Martz Sr.
Every morning, Frank Martz Sr. would transport local factory workers, coal miners, and shoppers to and from Nanticoke and Plymouth, PA. For passengers, a one way fare from Wilkes-Barre Public Square to Plymouth would cost a grand total of 10 cents. This first regular run was how the Martz Group began their operations over 100 years ago. Frank Martz Sr. purchased his first bus in 1910, which now has the distinction of being the oldest operating transit bus in the world and currently resides on lease at the Hershey PA Museum of transportation. In 1928, after adding additional buses and routes, the first airline was brought to the area by the White Transit company. Frank Martz Sr. replicated the current bus routes with the airline, ensuring a backup plan if the plane ever needed to make an emergency landing due to inclement weather or mechanical malfunction. These new airlines routes went from Newark, NJ on to Stroudsburg, PA, to Wilkes-Barre, PA, and continuing to Binghamton, NY and Buffalo, NY, with their last stop in Chicago, IL. The airline was eventually sold to what is known today as American Airlines. During their time in operation, the White Transit company survived the Great Depression and Hurricane Agnes. It has changed hands and shifted names from one generation of Martz family members to the next. 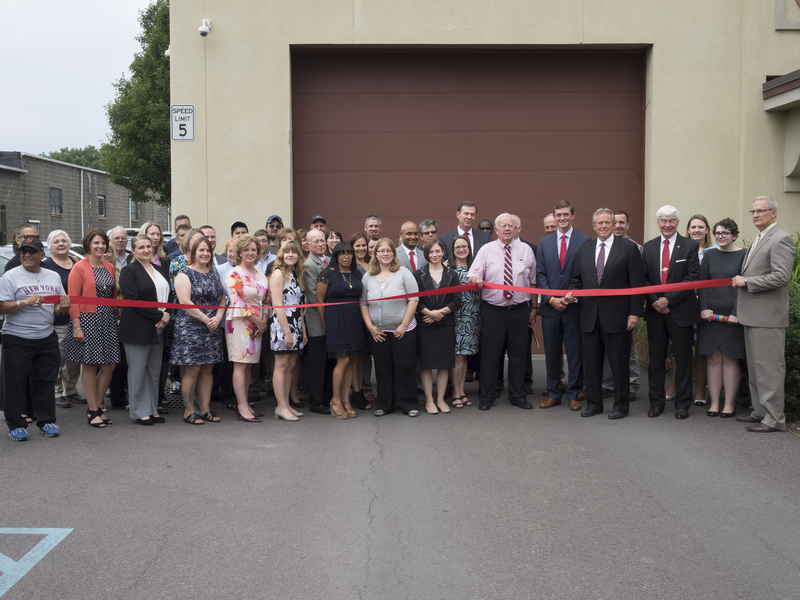 Now, in their 110th year, Martz Group has locations in Pennsylvania, Virginia, New York, Washington, D.C., Florida, Maryland, and New Jersey, with their headquarters rooted in Wilkes-Barre, PA.
“The region kind of chose us. Frank Martz Senior grew up in the area with his family… But, the reason that we’ve stayed here is because of the community and the people,” says John Henry, Director of Communications, Martz Group. 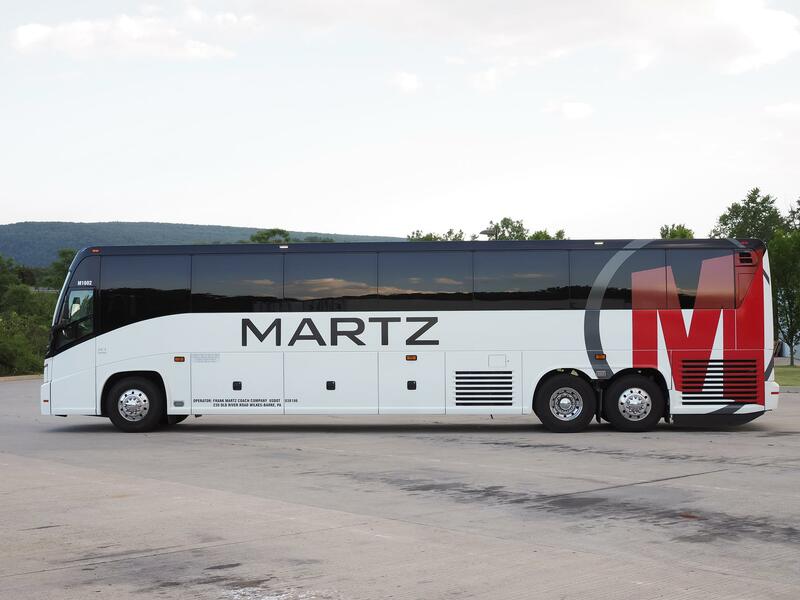 ​Martz has also grown to form three major divisions, including: line-runs, charters, and excursions. Line-runs provide daily commuting options in and out of New York City and Philadelphia, while charters provide buses for group trips to any location of your choice. The excursion department is exclusive to Pennsylvania, and includes weekend trips to shows and sights. The most popular excursions are the Philadelphia Flower Show, Atlantic City weekend trips, and Seneca Finger Lake Wine trips. Martz Group does all of their CDL training in-house. An employee can come to the company with just a CDL permit, and Martz will provide a full 180-hour training program, complete with a simulator that replicates different runs and weather conditions. Over the last ten years, the Martz Group has drastically updated their technology to make it easier for their customers to engage and make purchases quickly and effectively. Now, everything is instant. You can track your bus online, buy tickets directly from your phone, and your diver can even scan your tickets electronically.